AVERAGES were up £492 on the year at the Brecon Limousin sale with the Nealford herd from J.H. 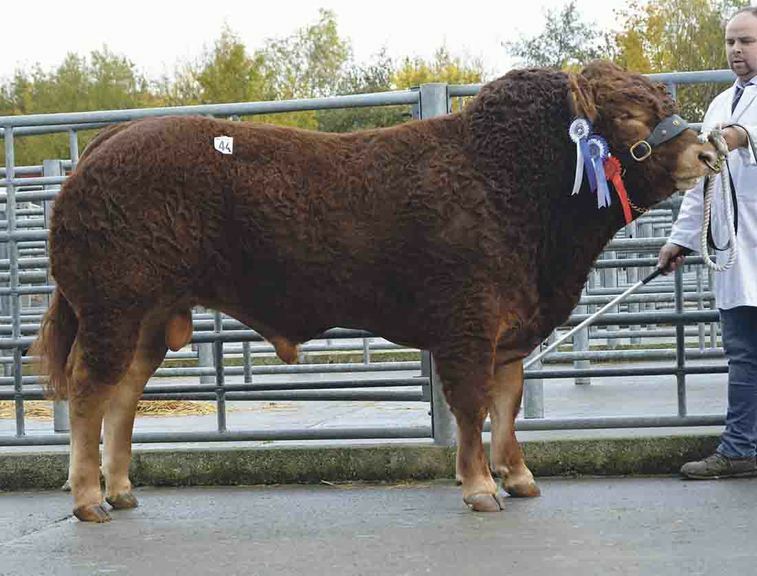 Neale and Son, Launceston, Cornwall, selling two bulls to a high of 5,550gns each. Nealford Loxley is the first to realise 5,500gns. The first to realise 5,500gns was the senior champion, February 2015-born Nealford Loxley by Goldies Comet and out of Nealford Tracy, the dam of the 2014 Royal Welsh inter-breed champion Nealford Honey. It was bought by E.T. and J.R. Gethin, Newtown, Powys. Nealford Lighthouse equalled the price, selling to E.J. Jenkins, Hereford. March 2015-born and by the herd’s stock bull, Procters Cavalier, it is out of Nealford Daniella. The July 2015-born Aghadolgan Emperor sired, Loosebeare Lionel from E.W. 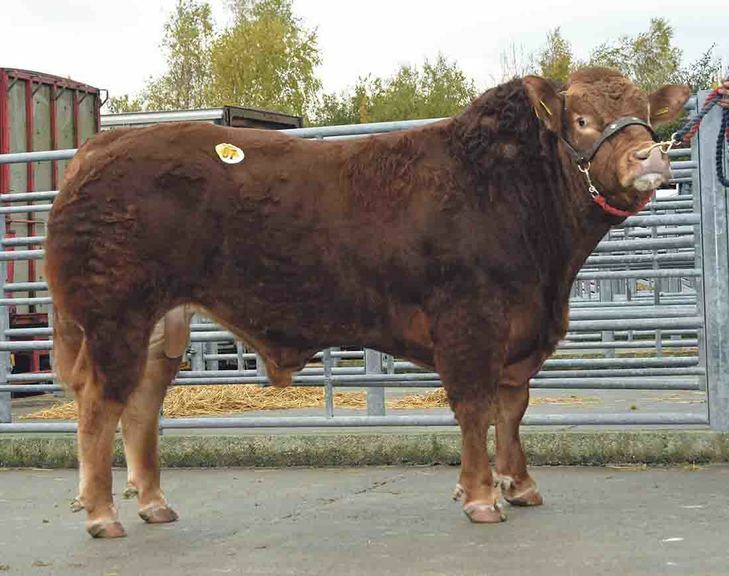 Quick and Sons, Crediton, Devon, sold for 5,100gns. Out of Loosebeare Cabeauty, its buyer was D.T. Richards and Son, Maesteg, Mid Glamorgan. The Quick family also sold another Emperor son, June 2015-born Loosebeare Longshot, for 4,600gns to P.L and M.C Watkins, Hay on Wye, Hereford. The reserve supreme champion and reserve junior champion, April 2015-born Haulfryn Lieutenant from R.G. Whitley, Buckley, Clwyd, sold for 4,700gns. 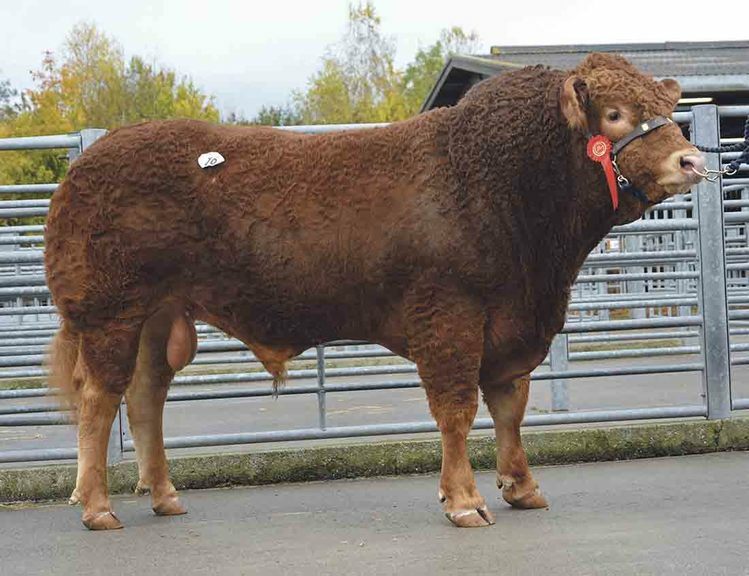 By the 12,000 euro bull, Harris, is was bought by K.M. and C. Jones, Talgarth, Brecon. The top priced female at 2,300gns was the supreme champion, August 2014-born Frogmore Jemima, from Chris White, Moreton-in-Marsh, Gloucestershire. By Rainbow Simon and out of Glenrock Saspirilla, the dam of the 24,000gn Glenrock Ventura, it sold in-calf to Ampertaine Gigolo to T.S. and N. Stevens, Wells, Somerset. Nealford Lighthouse also makes 5,500gns for the same vendor. Loosebeare Lionel sells for 5,100gns. Haulfryn Lieutenant stands reserve supreme before selling for 4,700gns. 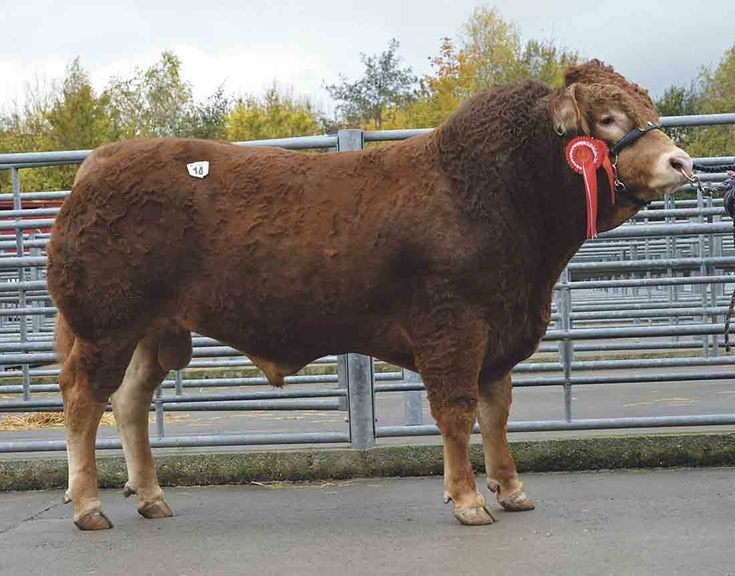 26 bulls, £3,909; 13 females, £1,440.